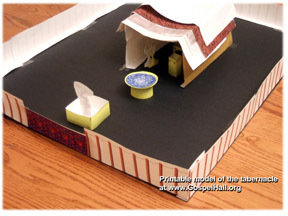 - 3d printable objects such as the printable model of the tabernacle for use in a single Sunday school class session. This printable paper craft can be done in about one hour with the help of a team of students working cooperatively. Other printable sunday school lessons in this section include the Exodus from Egypt to Canaan wilderness journey, the woman at the well 3d printable lesson, and a craft for the 12 disciples in a boat during the storm. - Sunday school worksheet puzzles include Crossword, wordfind, fill in the blank, and coloring pages. Key words - Sunday School lesson printables, paper models, puzzles, games, children bible crafts.